Class! Beauty! Tasteful! Remodeled! You name it, this house has it! This gorgeous home is situated on a great lot that backs up to woody area and pond. The gorgeous lagoon pool and view could be enough but it is not! No updates needed because it has been done throughout entire home. The home has 6 bedrooms with a bonus room. Four bedrooms upstairs and a bonus room that could be an media room, bedroom, workout room, etc... Master bedroom and master bathroom is downstairs with a bedroom off of master bathroom. This could be a powder room, baby room, office, etc... Third bedroom is downstairs with own bathroom for pool bath. The garage was built to be a three car garage but the third space is closed in and has central AC that could be used for storage, workout room, or office. 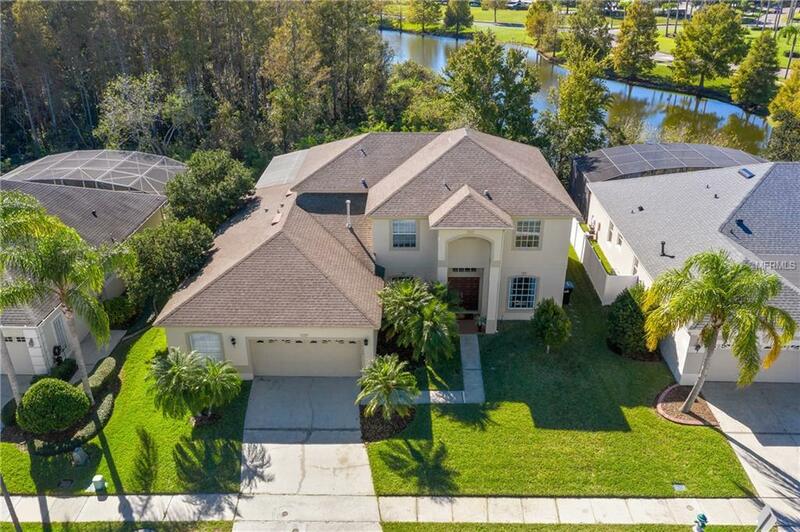 This home has much to offer. Spacious walk in closets, indoor laundry room, and most of all CHARACTER. This GOLF COURSE communities offer many amenties. HOA fee includes fiber optic high speed internet and basic cable. Both AC-2017, Exterior and Interior Paint-2017, Sprinkler and Pool Pump-2017, Garage Door App to open and close door by phone, AC controlled by App. Come take a look! You will not be disappointed!